CloudEQMS is a robust, business-friendly Enterprise Quality Management Software (EQMS) to help companies manage that quality and compliance of their content and other business processes. It is a true Integrated Management System (IMS) that is functionally rich and can be tailored to suit your business needs, particularly physical/operational risk management requirements. CloudEQMS comes with a plethora of business management accelerators and features, including Controlled Document Management, Compliance Management, Employees & HR Management Tools, Training Management & eLearning, and Asset Management / Maintenance to name a few. The software is built to go beyond what quality standards and regulations have defined as “standards”. These regulations include ISO 9001:2015 Quality Standard, ISO 27001 Information Security, ISO 14001 Environmental Management, OSHAS 18001 Health & Safety and Care Quality Commission (CQC). 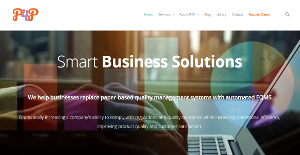 CloudEQMS provides businesses with the most comprehensive All-In-One Document Management, QHSE Risk and Compliance Business Optimisation Solution, all integrated into a single application that makes it easy for users to deploy and implement. That means you have a centralized location where you can perform all your Enterprise Quality Management tasks and functions without having to exit the system and launch a new application or spend a significant amount of money on additional modules or software. With CloudEQMS, business get a very innovative web-services-based technology platform that enables them to handle complex and extremely difficult tasks efficiently and with unparalleled accuracy and speed. From managing documents, analyzing and handling risks, execution of training and eLearning as well as the adherence to strict quality standards and regulations. CloudEQMS ensures that companies are able to identify and systematize industry-grade best practices so that they are able to create and deliver extremely superior products to that market that comply or even exceed globally recognized quality standards. As a true Integrated Management System (IMS), CLoudEQMS brings to the table loads of functionalities and features that facilitate effectiveness and efficiency, get products to market faster while greatly reducing risks and eliminating the introduction of substandard products to market. What Problems Will CloudEQMS Solve? CloudEQMS helps organizations gain large and small with document control, management compliance, facilitate the investigation of incidents and the proceeding of corrective actions. CloudEQMS helps organizations manage large and small manage risk, and among many others things, to integrate complaint management into the quality management process. CloudEQMS is flexible enough to support changing business needs, production and process controls reducing labor and operating costs driven by inefficiencies, while increasing customer satisfaction with products, services, and support. If you are considering CloudEQMS it might also be sensible to investigate other subcategories of Best Business Process Management Software listed in our base of B2B software reviews. Every business has its own characteristics, and might call for a special Business Process Management Software solution that will be designed for their company size, type of customers and staff and even particular industry they support. You should not count on locating an ideal solution that is going to be suitable for each company no matter what their history is. It may be a good idea to read a few CloudEQMS reviews first and even then you should keep in mind what the service is supposed to do for your business and your workers. Do you need a simple and straightforward solution with only basic functions? Will you actually make use of the complex functionalities required by experts and big enterprises? Are there any particular tools that are especially practical for the industry you work in? If you ask yourself these questions it is going to be much easier to locate a reliable software that will fit your budget. How Much Does CloudEQMS Cost? Contact CloudEQMS for enterprise pricing information and other product details. You can also submit a request for a demo to see if the software is a perfect fit for your business. We realize that when you make a decision to buy Business Process Management Software it’s important not only to see how experts evaluate it in their reviews, but also to find out if the real people and companies that buy it are actually satisfied with the product. That’s why we’ve created our behavior-based Customer Satisfaction Algorithm™ that gathers customer reviews, comments and CloudEQMS reviews across a wide range of social media sites. The data is then presented in an easy to digest form showing how many people had positive and negative experience with CloudEQMS. With that information at hand you should be equipped to make an informed buying decision that you won’t regret. What are CloudEQMS pricing details? What integrations are available for CloudEQMS? If you need more information about CloudEQMS or you simply have a question let us know what you need and we’ll forward your request directly to the vendor.